BEAUTY ENERGYCUBE is a hand-held mini-device emitting small doses of light radiation with LED. Ageing skin has reduced regenerative abilities – becomes grey and tired. 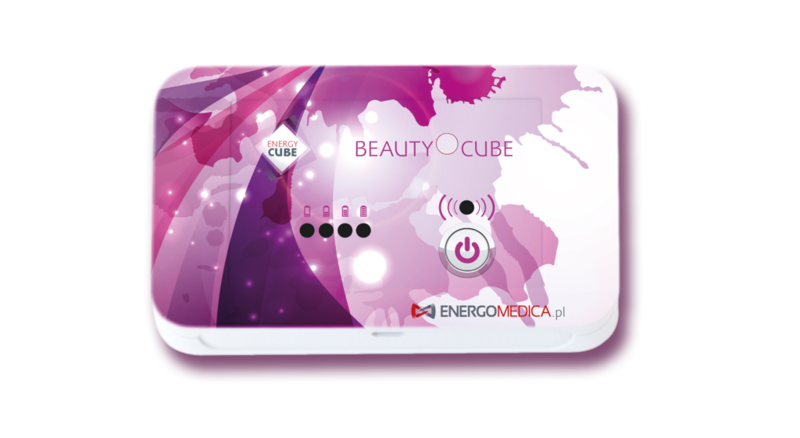 Using BEAUTY ENERGYCUBE increases microcirculation. It enables detoxification and increases supplying cells with nutrients and oxygen. Improves its appearance! Studies on the effect of polarized light showed i.e. that under its influence many internal processes get harmonised – fatigue and stress symptoms are reduced and the body regenerates faster. BEAUTY ENERGYCUBE meets the needs of active people who care about their own health! Since ancient Egypt people have been trying to stop the time by undergoing complex treatments. BEAUTY ENERGYCUBE makes it easier than ever.